Drink in the beauty of the Gold Coast from your vantage point in the sky! Feel the weight in the shoot and lift off into the warm Gold Coast air! Share the moment with a friend or family member, this experience is a must! 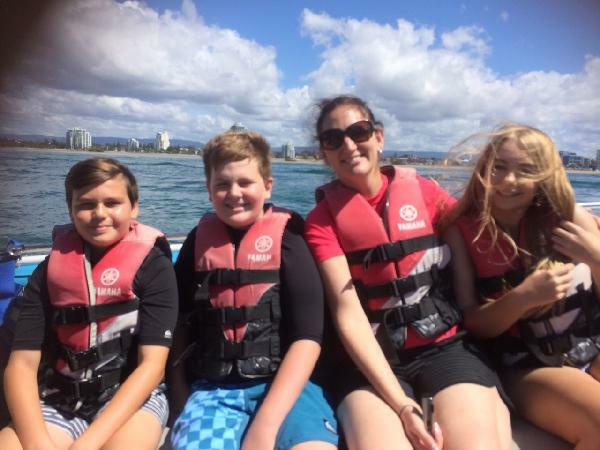 Parasailing is one of the best ways to have a little adventure while enjoying the finest views of the city and the Broadwater. 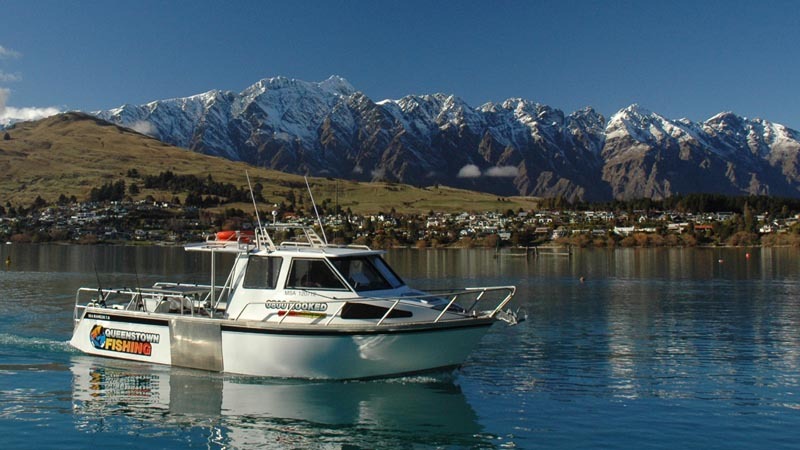 The staff at Gold Coast Watersports have over 25 years experience and will give you a full briefing before clipping you in once you reach your fly zone. When the rope is out to 100 metres you will truly begin your parasailing experience. Take in Surfers Paradise, the Q1, South Stradbroke and Wavebreak Islands and the Gold Coast hinterland. You might even spot a variety of sea life including dolphins and turtles. Bring a friend or the whole family – this is a magic adventure to be shared! Duration: You can be up to an hour on the boat depending on how many other people are parasailing and in the air for approx 8 minutes. Location: Gold Coast Watersports - in front of Seaworld Resort, Seaworld Drive - Walk through resort reception and in front of the pool area. Minimum age is 8 years old parasailing with an adult. Full price of $160 is for 2 people. 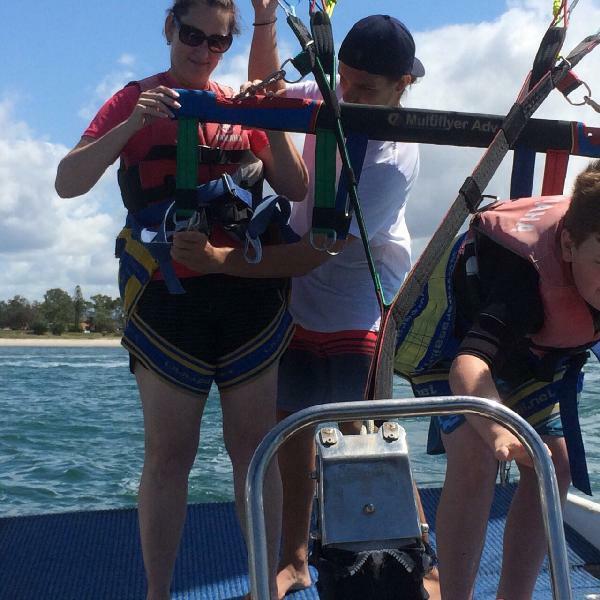 Parasailing is a disability-friendly activity. We can easily accommodate the needs of a guest with impairment to ensure they have the opportunity to experience the wonder of flight, and the beauty of the Gold Coast area. Such an unforgetable experience. My kids loved it and they want to have more of this when we come back to Gold Coast! Awesome experience! Definitely recommend, beautiful views of the Gold Coast and Straddie while you are up in the air. Such a fun atmosphere with wonderful views, great staff who ensure you have a great time. Brilliantly priced. Fun for all ages. 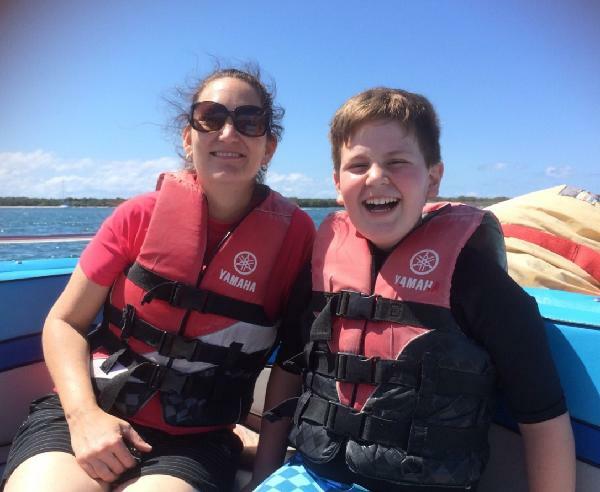 I booked the tandem parasailing for my sons 12th Birthday. It was awesome. The guys running the tour were really friendly and made the experience all the better. Your message has been sent to Tandem Parasailing. You should hear from them shortly. Please note: all responses will come directly from Tandem Parasailing, and not the team at Bookme.